The Wisconsin Valley Line extended from New Lisbon, Wisconsin to Star Lake, Wisconsin; from the 1880 purchase of the Wisconsin Valley Railroad until 1929 it was the Wisconsin Valley Division. 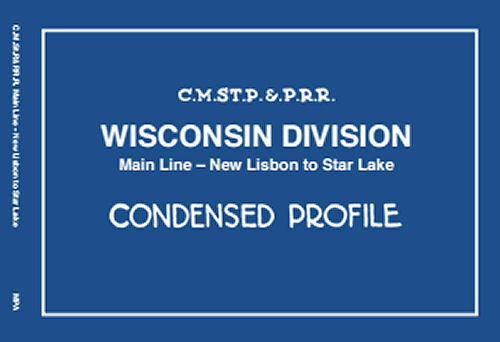 The profile book charts the main line, plus the Gleason, New Wood, Pittsville, and Nekoosa branches. These documents are scarce and it is the publisher's intent to share this work with others interested in the Milwaukee Road. Soft cover.